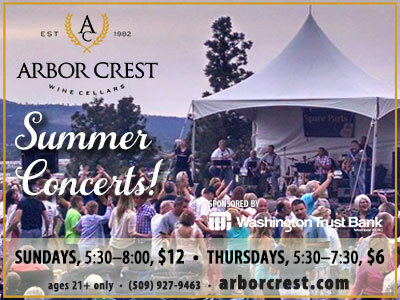 Summer is getting closer and the music will be playing at Arbor Crest, beginning Sunday, May 19 as part of their Sunday 'Concerts on the Cliff'. The May 19 concert will feature the Funk, Motown & Pop sounds of Vibe. 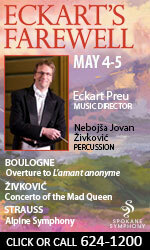 Concert is from 5:30 to dusk, so pack your picnic and get ready for an evening of great music. Thursday concerts are 'Performers on the Patio' and begin May 23, from 5:30 to 7:30pm, the first concert featuring the Pop & Jazz music of Karl Marguerite Trio and Jewelry by designer Suzanne Alvarez. Free admission on Thursdays. Wednesdays will be there 'Pick of the Week' Shows on selected dates in July and August including concerts by Clumsy Lovers, Diane Schuur, and the Spokane Symphony. And Saturday, July 6 is the 1st Annual Arbor Crest Music Fest from noon to 7:30. Arbor Crest Wine Cellars is located at 4705 N Fruit Hill Road. Wine is available for purchase. For ticket and concert information, visit www.arborcrest.com. The Art Spirit Gallery at 415 Sherman in downtown Coeur d'Alene presents a show of 30 new paintings by Ric Gendron. The Opening Reception is this Friday, May 10from 5-8 pm. The show runs though June 1st. 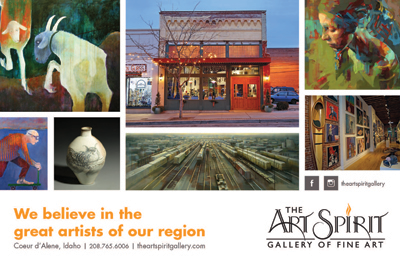 The Art Spirit Gallery's Spring Hours are 11-6 Tuesday through Saturday. Ric Gendron is an enrolled member of the Colville Confederated tribes who has been a full-time professional artist for more than three decades. He paints every day combining the pop-culture iconography of contemporary America with symbols from his Native American heritage. Essentially a narrative painter, he creates expressionist, strikingly colorful images that chronicle his experience, memory, history, journeys and identity. Also a gifted guitarist, Gendron's work is strongly influenced by traditional and contemporary Native music and American blues, country, folk, and rock and roll. Gendron received his art degree from Spokane Falls Community College in 1983 and studied art at Cornish College of the Arts in Seattle, and at Eastern Washington University. He shows annually and has won awards at the Santa Fe Indian Market. He has exhibited at the Eiteljorg Museum of American Indians and Western Art in Indianapolis, Indiana; Purdue University, in West Lafayette, Indiana; and at the Center on Contemporary Art, in Seattle and the Blue Sage Gallery in Scottsdale, Arizona. Published in 2012, Ric Gendron, RattleBone is a mid-career, full-color book written by Ben Mitchell in conjunction with the traveling show by the same name. From 2012 to 2015, this exhibit travels to the Missoula Art Museum; Tamastslikt Cultural Institute in Pedelton, Oregon; Museum of Contemporary Native Arts, in Santa Fe, New Mexico; and Jundt Art Museum, Gonzaga University, in Spokane. The Spokane Jazz Orchestra presents the Keberle Connection, the father and son combination of Dan and Ryan Keberle, this Saturday, May 11 8 pm at the Bing. The SJO is honored to have the former Music Director of the SJO, Dan Keberle, back on stage. He is joined by his son, Ryan Keberle, who makes his living as a professional trombonist, arranger and educator in New York. His credits include regular engagements as trombonist with the Maria Schneider Big Band, the Saturday Night Live Band, The Lincoln Center Jazz Orchestra. Ryan was the regular trombonist in the Tony Award winning musical 'In the Heights,' as well as frequently playing in a host of other Broadway shows. Dan Keberle is the director of Jazz Studies and Trumpet at Whitworth University. Dan and Ryan will be performing many of their own compositions and arrangements as soloists and together in what will be a memorable concert. Spokane Public Radio invites you to see NPR's National Correspondent Don Gonyea, tomorrow, May 9 at 7:30pm at The Bing Crosby Theater. Gonyea is currently NPR's National Political Correspondent. Prior to this role Gonyea has been covering the White House for over 10 years from 2001 to 2012. Besides reporting on the Administrations of both President George W. Bush and Barack Obama, Gonyea has been on the trail for the last four Presidential campaigns. Gonyea will be talking about the tumultuous events of the last ten years, what it's like to report from inside the White House for NPR, the campaign trail and politics in general. Ticketswest has your seats at www.ticketswest.com or 800-325-SEAT. 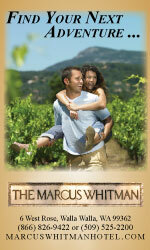 The Spokane Winery Association's annual Spring Release Weekend is right around the corner. 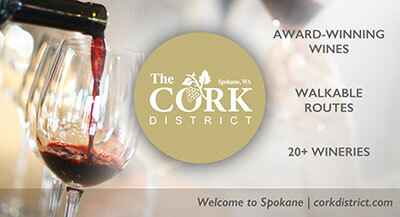 Hosted by 19 Spokane wineries, the event will be held over Mother's Day weekend, May 10 - 12 from 12pm to 6pm daily, giving visitors a chance to enjoy a weekend of award-winning wine. Spring is a time of celebration for wineries to gather and share newly made wines while also marking the end of the winemaking season and the start of a new winemaking year. The Spokane wineries invite the public to celebrate together and enjoy the unique wines of the region. Celebrate spring with the festivities at each Spokane Winery Association winery. Tasting fees may apply. 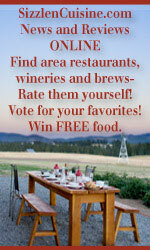 Download a map with recommended tour routes at www.spokanewineries.net. Join the MAC this Mother's Day weekend for the MAC's 24th Annual Mother's Day Neighborhood Tour. This is a unique opportunity to view six of Spokane's South Hill's beautiful and unique Mid-Century Modern residential treasures. 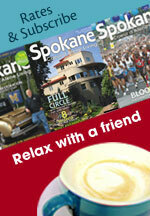 This year the tour complements the MAC's 'SPOMa: Spokane Modern Architecture 1948-73' exhibit. The tour is open from Noon-4pm. Homes on the tour: 1220 E. 28th Ave., 2020 E. 18th Ave., 705 E. 23rd Ave., 431 E. 16th Ave., 2507 S. Perry St., 1918 S. Syringa. Tickets are available at www.northwestmuseum.org, at the MAC Admission desk, and during the tour weekend at these selected houses: 1220 E. 28th Ave. and 431 E. 16th Ave. Ticket Prices: $15 for MAC members; $20 for non-members. This month's feature at the Pacific Flyway Gallery is art that reflects our love for 'Carousels'. Featured artists include Linda Besse (her painting 'Pretty Poney' is pictured), Lorraine Krank, Judy Hankel and others. The show runs through the end of May. The Pacific Flyway Gallery, 409 S. Dishman-Mica Road in Spokane Valley, Tues.-Fri. 10am to 6pm, Sat. 10am to 2pm. Each year, more than 4 million people in over 20 countries raise much-needed funds and awareness to save lives from cancer through the Relay for Life movement. 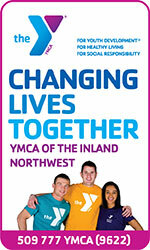 Coeur d'Alene's Relay for Life is Friday, May 17 at 6 pm and Saturday, May 18 at 8 am at the Kootenai County Fairgrounds. This free family fundraising event includes live entertainment, live/silent auctions, kids' area with bouncy houses, games and activities, booths, games, food and much more. For more information, contact Suzanna Spencer sspencer@inb.com or 208-277-7856 or visit www.relayforlife.org/coeurdaleneid. 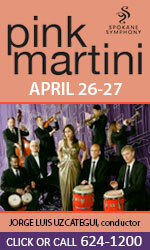 S-R Media / The Spokesman-Review just launched its new weekly '7' entertainment guide this past Friday, May 3. The entertainment section publishes every Friday in The Spokesman-Review and is a comprehensive guide for what to do and where to go 24/7 in our community. 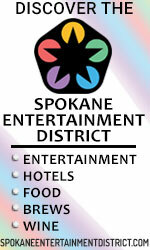 For those who prefer to access entertainment information throughout the day at your finger tips, go to spokane7's mobile and web sites at www.spokane7.com. The Spokane Shock vs. Orlando Predators, this Saturday, May 11 7pm at the Spokane Arena. Then they are back in action at the Arena versus the New Orleans VooDoo next Friday, May 17. 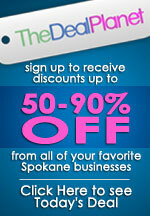 For more information or for a full Spokane Shock's schedule, go to SpokaneShock.com. The Jr. Lilac Parade is a treasured, long-standing tradition in Spokane. Each spring, the community comes together in downtown Spokane to celebrate our children. You'll see elementary and middle school bands and drill units, youth organizations, and other clubs. You might even see some of our local mascot celebrities, such as Butch, Swoop, and Spike! Many of our local city and county officials, as well as area businesses, join in the fun. It's an event you don't want to miss! 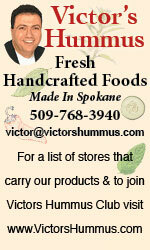 This Saturday, May 11, 10am in downtown Spokane. For more information go to SpokaneJrLilacParade.org. 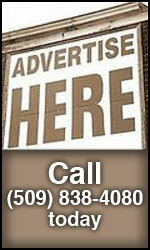 The KXLY Radio group is having their first annual Internet Auction May 7th through May 13th. Over $100,000 worth of products and services can be bid on. Over 75 businesses are participating in this year's Radio Internet Auction. 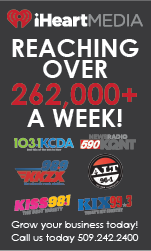 The Radio Internet Auction is located on all 7 of KXLY's radio stations web sites, KXLY-AM 920, KXLY-FM 99.9, KZZU-FM 92.9, KEZE-FM 96.9, KHTQ-FM 94.5, KVNI-AM 1080, and KXLX-AM 700. Some of the products and services that can be bid on include Spokane Shock Limo packages, Seattle Mariner packages, Idaho Lights and Evergreen Lighting packages, Spokane Fireplace packages, Splashdown packages, Twin Lakes Village Golf Club packages, a garden tractor from Spokane Power Tool, Spokane Club membership, and a California Cooperage Hot Tub from Home Environments and more. The Radio Internet Auction can also be found at www.bidonspokane.com. Items can bid at 70% off retail price. Two Father's Day Weekend performances celebrate 20 years of McManus Shows with a new one, 'McManus and Me! 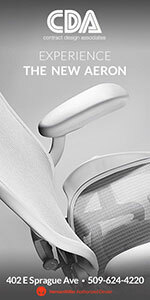 ', written by Patrick F. McManus and Tim Behrens. Shows are Friday, June 14 at 7:30pm and Sunday, June 16, Father's Day, at 5pm at The Lincoln Center, 1316 N. Lincoln Street. This new show not only highlights favorite McManus stories and characters from the Comedies, but shares with the audience some of the back stories behind the comedies and Tim's touring. Pat McManus will be present to sign books before the shows and at intermission. All characters will be played by Tim. Tickets are $23 for Show Only, $43 for Dinner and the Show and are available at the Lincoln Center Box Office, 509-327-8000 or lincolncenterspokane.com. Call the Lincoln Center for dinner times, about 1 hour prior to show. For more information on The McManus Comedies and Tim Behrens, visit www.mcmanusplays.com.